PLEASE NOTE: OUR PHONE SYSTEM IS DOWN AT THE MOMENT AND WE ARE WORKING HARD TO RECTIFY THE ISSUE BUT IT MAY TAKE A FEW DAYS. YOU WILL FIND CONTACTING US BY EMAIL MUCH EASIER. 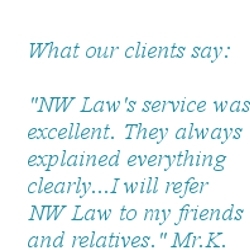 NW Law is a company of personal injury solicitors and specialists. We represent clients from all over the country and deal with claims from £1000 to over £10 million. Our company is headed up by Naomi Wilson, an award winning solicitor. Accidents can happen. If you are unfortunate enough to have suffered personal injury in an accident that wasn’t your fault, it can be very stressful time. At this time, you need to be able to turn to friendly, reliable specialist personal injury solicitors whom you can trust to deal with your case professionally and compassionately. Find out how our experts can help you claim the compensation you deserve. 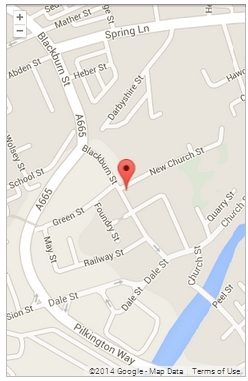 CLICK HERE ON YOUR MOBILE TO CALL 0161 772 9922 NOW! We deal with all types of personal injury claims. For help with any of these types of accidents call us on 0161 772 9922 or fill in our online claim form to see if we can assist with your claim for the compensation that you deserve. As specialist personal injury solicitors, we have a wealth of experience, so you can trust us to be there for you when you need help the most.